1 How Dirty Does He Get? 2 How Much Does He Enjoy It (or Hate It)? 3 What About Drying Out His Skin? 5 How Often Do You Have Time for Bathing? Bathing your Cockapoo should be a fun experience for both of you. Yet, while dogs love jumping into the river or sea they often hate bathing at home. While humans tend to have a shower a few times a week, how often should your pooch enjoy the pleasure of soapy water? The fact that every dog is different means that it is difficult to know exactly how often to wash him. 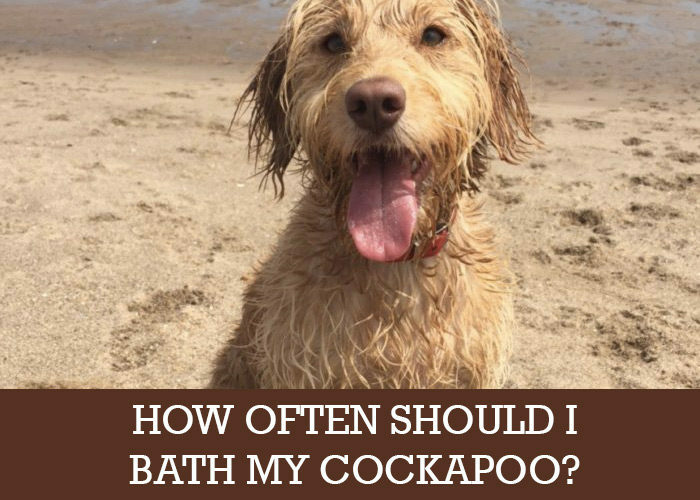 So lets have a look at how often you should bathe your Cockapoo. How Dirty Does He Get? Not every dog gets equally dirty. For instance, do you take him out for regular walks along muddy paths or does love nothing better than rolling around in the dirt? If he seems to be a dirt magnet then you will want to bath him more regularly than you would with a pooch who never seems to get dirty. 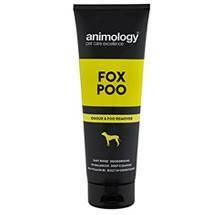 Some dogs will also get an unpleasant smell on their coats quicker than others no matter what they do. Unlike their feline friends, dogs can’t clean their own coats fully when they get dirty. There are no specific health reasons for bathing him when he gets dirty – unless you think that he has been rolling around in something toxic or otherwise unhealthy. However, getting him all lovely and clean will make it far more enjoyable to be around your Cockapoo and to hug him. Where you live can also make a difference. Is it a natural, country setting where he gets out and about or is it a built-up, urban neighbourhood. If your dogs getting the car too dirty, then we would recommend having a look at this PortaShower which can be put in the boot of the car to give your dog a rinse down before they get into the car. How Much Does He Enjoy It (or Hate It)? As mentioned earlier, some dogs hate bathing, while others don’t mind it. Others might even love it if you make an effort to get them used to it and make it as enjoyable as possible. Therefore, you will want to take his preference into account. If bathing seems like a form of torture to him then there is no need to put him through this anguish any more than is strictly necessary. On the other hand, if he loves getting into the water and washing away the dirt then you can keep him happy by getting a lovely bath ready far more frequently. If he is still a puppy then bathing him frequently is going to get him used to it and enjoying it sooner or later. As mentioned earlier, some dogs love bathing in the river or sea but not at home. In this case, perhaps you could find a way of simply doing it in the way that he most enjoys. Just take his shampoo and towel out with you and try to make sure that he doesn’t get dirty again while drying out. Of course, if he goes swimming in dirty water or doesn’t dry out well then this can cause his coat to get smellier rather than cleaner and fresher. What About Drying Out His Skin? The main reason people tend to avoid bathing their Cockapoo regularly is that they worry about drying out his skin by doing this. This is a valid concern but there are also some points to bear in mind. For a start, if you use a type of shampoo that doesn’t have any soap or detergents in it then you can really bath him as often as you (and he) want to. 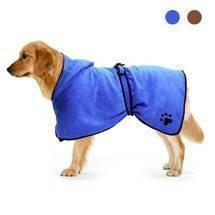 By letting his coat to dry out naturally then you will help to lower the risk of his skin getting dry and irritated. If however, you want to use a nice dog towel, there is one here that we recommend. The type of coat that a dog has greatly affects how often you need to wash him in order to keep him looking great. Cockapoos tend to have curls, although how curly he is will depend upon the exact mixture of Cocker Spaniel and Poodle blood coursing through his veins. Curly hair like this tends to matt easily after the adult hair has grown in at 8 months or so of age. Generally speaking, if you bath him once every month or two then he will carry on looking fantastic and his coat will be lovely and shiny. How Often Do You Have Time for Bathing? No matter how keen you are bath your dog, it may be that you simply don’t have time to do it as often as you would like. This is a shame, as bathing him can be a real bonding experience that will let the two of you grow closer together than ever before. However, if time is a problem then it is far better to wait patiently for a better moment than to rush into it. As we have already seen, bathing your Cockapoo is more about getting him looking good than any serious health issues. If you try and rush through this job when you don’t really have the time then you run the risk of not doing it well and possibly even putting him off bathing in the future. On the other hand, when you are both totally relaxed it can be a wonderful few moments to spend together. Don’t forget that you can then help to dry out his coat simply by taking him for a nice walk if you don’t want to use a hairdryer for this task.